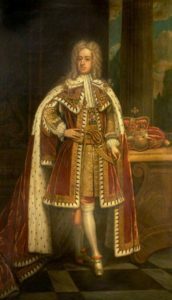 Below is the detailed biography of King George II, his ascendence over the throne, his reign and regime, and his administration. He was the last Britain King that was born in Germany. His grandmother was the Sophia of Hanover, a title that he inherited along with the Kingship of England. Let us discuss him below. George II was born in Hanover, Germany. He was the son of King George I of Great Britain and his wife Sophia Dorothea of Celle. At a young age, the parents of George II separated and his mother never saw the children again. As a little boy, he spoke French. Later, he was taught German by the caretakers. Slowly, as he grew up he learned English and Italian. He was home taught subjects like military history and battle tactics. King George I, was the third surviving Protestant blood relative of Queen Anne of England and Scotland and Ireland. She had no surviving children after her stepping down which is when he ascended the throne and became an heir. He was made an English citizen under the Sophia Naturalization Act and a successor under the English Act of Settlement. He possessed the titles of the Knight of the Garter and also made Duke and Marquess of Cambridge, Earl of Milford Haven, Viscount Northallerton, and Baron Tewkesbury. After the Union with Scotland Act was passed in 1706, and the English empire expanded, he accepted the Royal throne. His son, King George II inherited the throne directly from his father. The son of the King is entitled to be the Prince of Wales in the Kingdom of Great Britain. In 1714, George II arrived in London with his father. He realized how large it was in size and stature compared to Hanover. He also administered for six months in place of his father, when his father had to be in Hanover. This was under the Guardian and Lieutenant of the Realm Act. During this period, there was an attempt of Assassination over him that made him even more popular as the assassinator was brought to shame in public. His popularity increased immensely during his time as Prince of Wales. 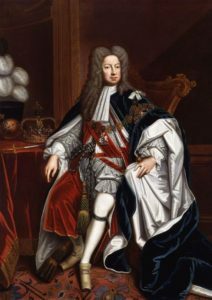 During this time, King George I began to get jealous of this popularity gained by his son and this led to a bitter relationship between the two. Other than that, George II’s brother – George William began to act as a catalyst for quarrels between the King and the Prince of Wales. Due to his oppositions to his father’s policies, George II was banished from the Palace. He was then living in London at the Leicester House where he met with other courts men that opposed King George I. The King promoted religious freedom in Britain and expanding territories in Germany along with those in Hanover. Sir Robert Walpole and Viscount Townshend, left the courts in 1717. Now when the King left for Hanover, he appointed a regency council in his absence. 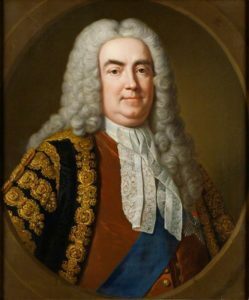 Sir Robert Walpole interfered in this situation and persuaded the King to make up with his son for the sake of public welfare. King George I, died in June 1727 in Hanover. 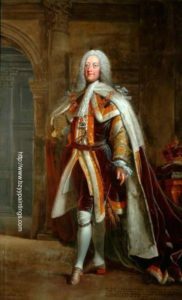 He was then succeeded by his son, George II when George II was 43 years of age. He did not leave England and did not travel to Germany for his fathers funeral which made the Britishers like him even more. He was coronated at the Westminster Abbey in October 1727, the same year his father died. He appointed Sir Spencer Compton as his Minister. He was a British Statesmen and the leader of the Whig party. George brought reforms into foreign policies and domestic policies. However, his entire administration was looked upon by his ministers and their careful observance. 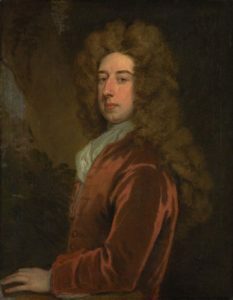 Sir Compton was titled Lord Wilmington in 1728. He is known to have many differences with Sir Walpole. He opened hospitable utilities in Spain for British men of war. He was an elector of the diplomatic affairs of Europe. In the Battle of Dettingen in the year 1743, Don personally attended and led battle troops of whose allied forces were Austrian, British, Dutch, Hanoverian and Hessian troops. The battle was a French Battalion. George had opponents, many of them were the Roman Catholics and the Jacobites of the 17th century. George II married at a very young age. He did not want his life to be like his father as he saw how miserable his father’s life was without a companion. He had a failed marriage proposal with Princess Hedwig Sophia of Sweden. Hence, in 1705 he himself went undercover to visit another marriage prospect of him – Caroline of Ansbach. They were married in the same year at Hanover in the chapel of Herrenhausen in Hanover. Together, they had many children, two of whom died due to unfavorable conditions of war around them. George II when King, deteriorated his relationship with his elder son, Frederick, then Prince of Wales. He was left behind in Germany while his parents had been ruling in London. The boy hadn’t seen his family for 14 years. 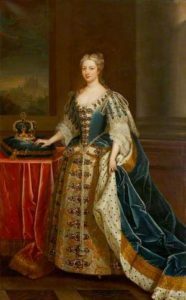 Queen Caroline proved herself to be an able Queen, she was by her husband’s side throughout all conditions; good and bad, celebrations and war. She died in 1737. This deeply affected the King and he was depressed for quite a while after her death. During his later life, he was recovering from the sudden death of his eldest son – Frederick, the Prince of Wales. The title was now passed down to George III who was the apparent heir. The King was 77 years old when he died on the 25th of October, 1760. He had become hard of hearing and lost his eyesight for one eye. He died in his own palace in the royal cottage when an attendant found him dead on the floor. His daughter, Princess Amelia was by his side at the deathbed. He served as the Chancellor of the Trinity College in Dublin and laid the charter for the foundation of the King’s College in New York City in the USA which is now called the Columbia University. He also laid the foundation for universities and schools in Hanover, Germany. He sponsored the Royal Library at the British Museum in 1757. He is known for his multiple works and excellence in administration despite the active participation in European peace affairs.